Time for dinner? 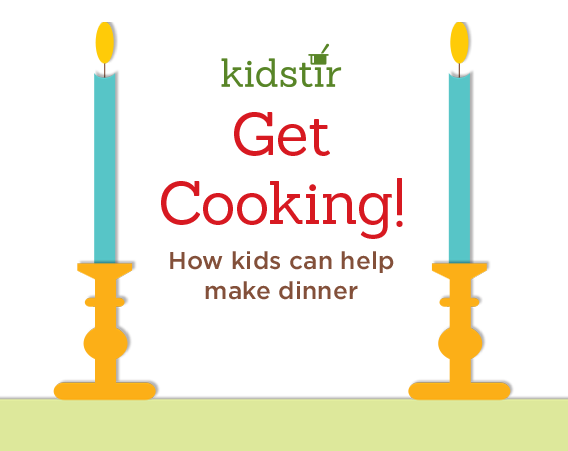 Before you start cooking, call the kids into the kitchen to help. If they lend a hand in making dinner, they are much more likely to eat it. Involve the kids in the dinner meal planning. Talk to them about what they’d like to eat and come up with the week’s menu together. You can also post in your kitchen a list of all your family’s favorite dinners (and note who likes what the best). This list will come in handy when you’re trying to come up with a quick dinner idea that everyone at the table will actually eat. In our rush to put dinner on the table, we sometimes forget to get the kids to help out. And little hands make great prep chefs! They can wash lettuce for the salad and cut up peppers to add to the soup on the stove. Cooking together is a great way to check in with your kids after a busy day, too. Put the kids in charge of everything from making the grocery list to following the recipe. Stay nearby for questions from aspiring chefs, but try not to step in and take over. They’ll learn some important cooking skills on the job! Post a list of kitchen chores and get the kids to help with everything from setting the table to doing dishes and sweeping up afterwards. It may be easier and faster to do these chores on your own, but it’s good for kids to get in the habit of pitching in around the kitchen.